Picturing the detritus of the the West has produced a rich vein of photographic work. A new book by the journalist Adam Minter, however, casts the subjects in this trade, particularly in China, in more nuanced terms. For photographers, there has always been an attraction to the gritty, grungy aesthetic of a landfill site or recycling dump. The pictorial qualities of waste can draw on links with historical painting or engage with a sense of injustice; evidence that rich nations are consuming more than their fair share. The subtle beauty of the former can be seen in the work of Neil A White. As evidence of injustice, waste dumps are often labelled on a par with the industrial exploitation of resources – mining for gold and metals used in smartphones – and other human rights abuses from which local people have no escape. This however ignores the very real economic benefits these dumps provide, and the dignity gained from a sense of agency and entrepreneurialism. 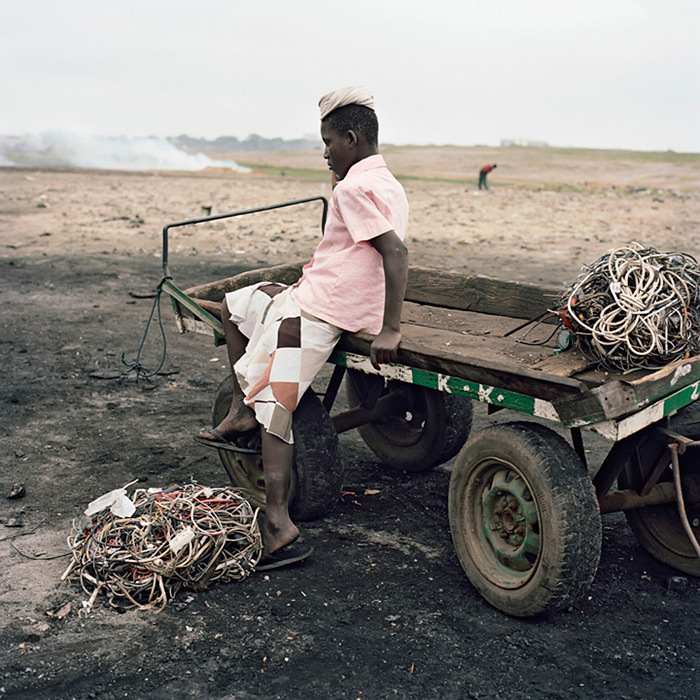 Powerful and noteworthy work along these lines include projects by Sophie Gerrard and Pieter Hugo. I am not suggesting that individuals working on these sites should be universally grateful for their lot, but I am questioning the concerned gaze of the western viewer who, when confronted with such easily decoded images, is prevented from delving into the intricacies of the issue. We look at the figure. We take in the surroundings. We reel in horror. And do nothing. This seems to be the default position. 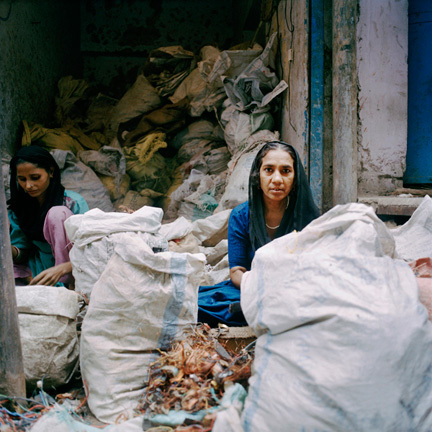 Despite these universal truths, there is according to journalist and re-cycling expert Adam Minter , a vast and hugely rewarding trade in e-waste and recycling happening in China, which might suggest new commercial opportunities for communities in suitable parts of Africa and India. Needless to say, contamination of food and water supplies need to be addressed. Minter argues that far from being no-go areas, recycling dumps particularly where large quantities of valuable metals can be extracted, provide the necessary raw material for new products and industries and for communities to emerge and thrive, despite the odds. An excellent review of the book published in the Guardian by Isabel Hilton can be found by here.